Written on September 9th, 2014 March 30th, 2015 . 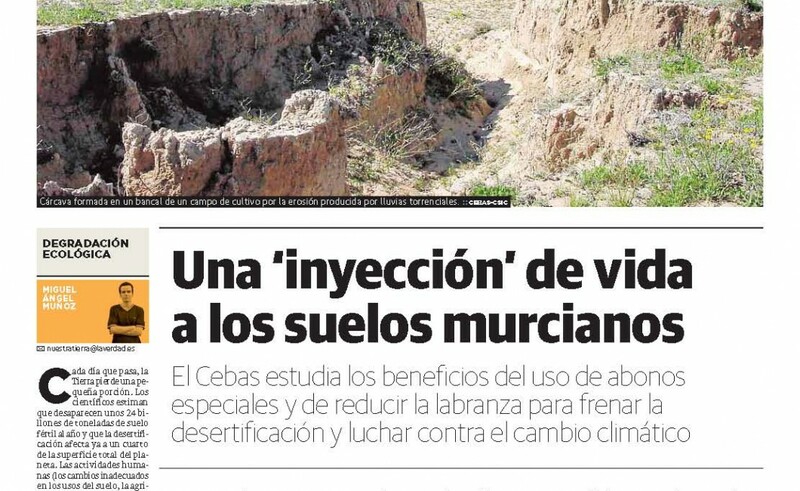 Today a newspaper article was published in a regional newspaper from Murcia (‘la Verdad’) explaining our groups work on the assessment and evaluation of aspects of desertification, climate change and possibilities of adaptation and mitigation through sustainable land use and management strategies in semiarid environments of SE Spain. 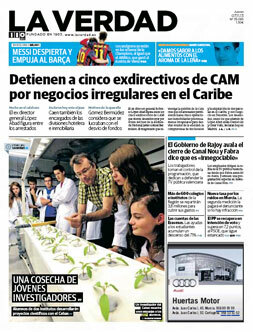 For the full article click here or see la Verdad (spanish). Written on November 7th, 2013 March 30th, 2015 . 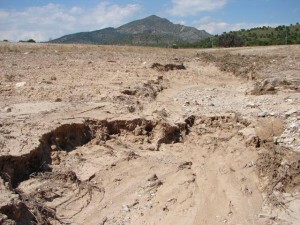 (CEBAS_SWC = Centro de Edafología y Biología Aplicada del Segura_Soil Water Conservation). 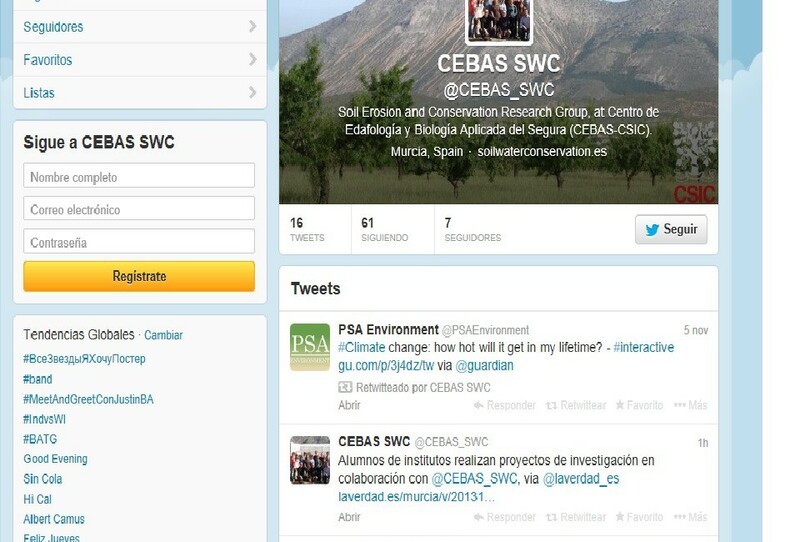 We started tweeting yesterday and our community managers are Lupe León and Joris de Vente. Follow us! Written on November 7th, 2013 October 25th, 2016 . Our group together with other research groups at CEBAS has iniated an educational research project with several High Schools of the Region of Murcia. Three students 16 years-old will develop a research project within our group during 8 months, they will study the changes in soil properties and their capacity for carbon sequestration under different conservation practices applied in one of our experimental farms in dryland agricultural systems of the Region of Murcia. We will work together from the field to the laboratory and they will present their results in a small Congress that will celebrate in CEBAS at the end of May 2014. 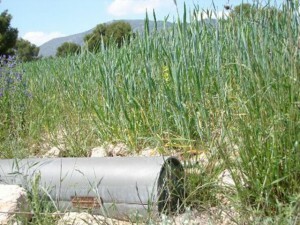 This project represents a new way to introduce science in educational programs and an interesting opportunity to bring closer the value of local agro-ecosystems to younger generations.